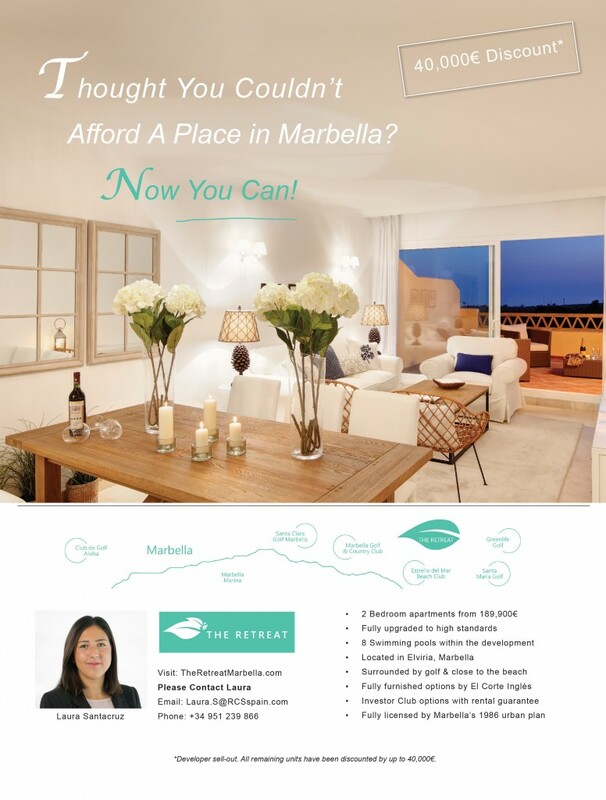 Act now to secure the best deal with Real Capital Solution Spain’s sell-out campaign at The Retreat in Santa Maria Village, Elviria. All remaining units have been discounted by up to 40,000€. Discover a secret jewel in Marbella – a perfect combination of views and tranquillity – within a short distance to the lively coastal destinations of Elviria, Cabopino Marina and Marbella town centre. The Retreat is a stunning residential urbanisation of 2 & 3 bedroom apartments, situated at the pinnacle of Santa Maria Golf in Elviria, with spectacular views across the Mediterranean coastline.